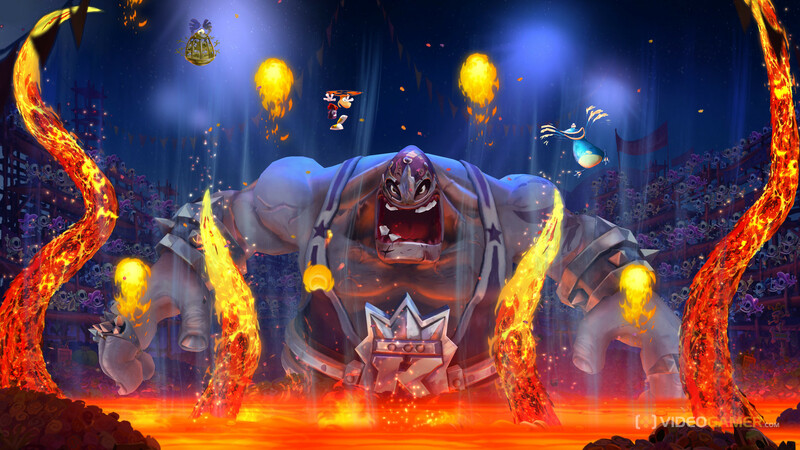 It was reported last year that Rayman Legends sold less than Ubisoft expected. This is a great pity, because Rayman Legends is an exceptionally good platformer and a title that brings a lot of creativity to what can be a very tired genre. The ‘music levels’ are an example of this creativity – these levels are built around the pacing of a recognisable (or at least very catchy) song, with the level layout making the player perform certain actions in time to the beat. It’s a clever technique and one that often sees you moving to the song involuntarily as the level plays out and even perhaps humming the tune long after you’ve stopped playing. It’s just fun, you know? Having heard a lot of commentary about video games striking emotional resonance on serious themes with titles like Bioshock: Infinite or The Last of Us, it’s nice to see a title that inspires joy simply through its gameplay. I love those music levels.. My favourite has to be the water one, that and eye of the tiger. The movement and actions needed them are just perfect and there is just so much happening in the background as well. Agreed. It takes platformer conventions and makes them work on new and different levels (no pun intended :-).